The Casino Gorilla is always looking out for the latest and greatest bonuses and promotions to put a little pep in the step of our readers. Today he has discovered some fantastic offers from some of the best online casinos around to start off 2019 in style. Read on to find out where you can nab some fantastic casino promotions for both new and existing players, but don’t hang around because they won’t be there forever. Mr Green’s Casino is known for handing out plenty of bonuses to its loyal players. They kick off 2019 with an offer called the Rolling Jackpot which runs up until the end of January. All you have to do is to hit the blackjack tables and start playing, should you get four blackjacks in a row you will qualify to enter the draw for a delicious €5,000 – not a bad way to get the new year underway. Live dealer casino fans are also in for a treat when they play with Mr Green. The ‘3 Day Live’ promo runs until January 27th and offers a €50 cash bonus once you have completed your third day of wagering at least €200 on the NetEnt LIVE Beyond Live table. What’s more, you can claim this bonus every week of January for a total of €200 in cash bonuses. Mr Green really knows how to celebrate the New Year! The third January promo from this generous casino is the ‘Jurassic Free Spin’ which offers to double your free spin wins from entering their 8pm Reel Thrill tournaments. Place between 1st and 22nd in the tourney to win your share of 1,000 free spins, but don’t hang about because this promotion ends on January the 20th. Up to the 11th of January Rizk are giving players the chance to win a holiday to Iceland. Enter the specially boosted Viking slot Rizk Races which take place every evening at 19.00 CET and 21.00 CET. The player with the highest amount of points from a single game will find themselves jetting off to Iceland. In total there is €36,000 in prize money so get spinning those reels to be in with a chance of sharing in the loot. As always, players at Rizk get the chance to spin the Rizk Wheel of Fortune to win lots of great prizes including free spins and cash bonuses. The Rizk welcome bonus for 2019 offers up to €200 plus 50 free spins for new joiners. Any bonus of at least a tenner is matched by 100% up to the max of €200 and the 50 free spins are split between five NetEnt favourites. 200 free spins along with a fabulous €1,200 when they sign up. The bonus is split over the first five deposits, with the first deposit matched by 200%, the second and third by 50% and the fourth and fifth by 25%. The free spins are for Starburst and are released at a rate of 20 per day for ten days. The bonus is spread over the first four deposits with the first matched by 100%, the second by 50% and the third and fourth by 25%. Those free spins are for the evergreen Starburst game and are released in blocks of 20 per day for ten consecutive days. Sign up in January to take advantage of this very generous offer! Get 200 spins if your first deposit totals £200. These are all cash spins which means that there is no wagering requirement and any winnings from them are yours to keep. You must simply make the appropriate deposit and play through the amount of your deposit once. With no wagering on those free spins new players can really make a quick profit if their luck is in on the Starburst slot. All of the above offers are available at the beginning of 2019 and all of these casinos come highly recommended by the Casino Gorilla. 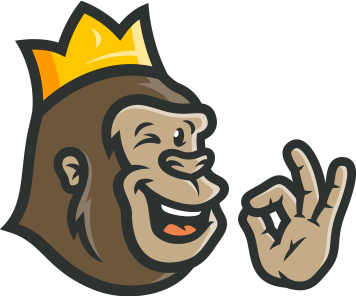 Make sure to check in with the Gorilla every month to discover more of the biggest and best promotions at the worlds favorite online casinos.